It always upsets me a bit to realize how little I know about the world. This realization springs up from time to time during my travels, whenever I stumble upon a certain festival or custom or religion that I had never before even had the slightest inkling that it existed. I recently took an organized day trip out of Saigon to see the famous Cu Chi Tunnels. 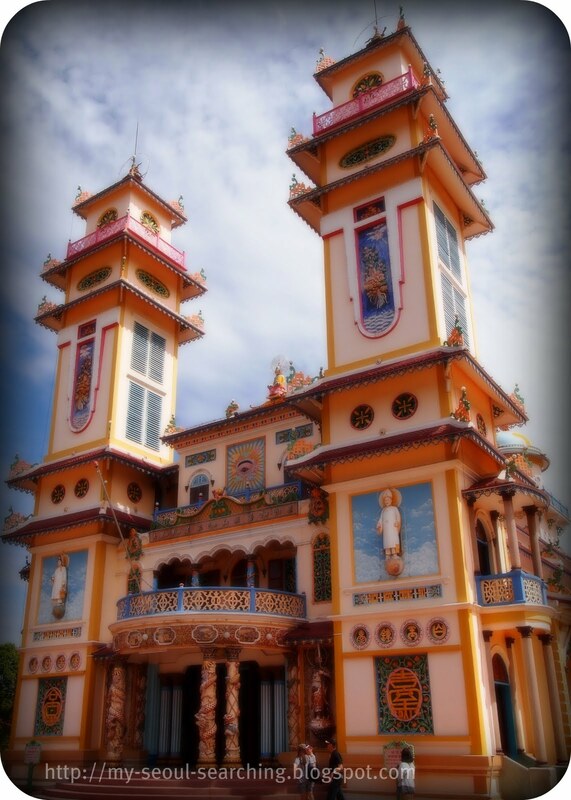 Also on the itinerary was the Cao Dai Temple. Not knowing anything about it, I Googled the religion the evening before the trip to get some insight as to what it was all about. I learned that it was a Vietnamese religious movement organized in the early 1900s and now has over 6 million followers with practitioners living throughout the world. In addition to its spiritual roots, it also played a role in various political events throughout the 20th century. As I read more about it, I found that the religion draws upon the principles of some of the world's major religions: Buddhism, Taoism, and Confucianism. Some of the art depicted in the religion's temples are Hindu while the religious structure is hierarchical, much like the organization of Roman Catholicism. 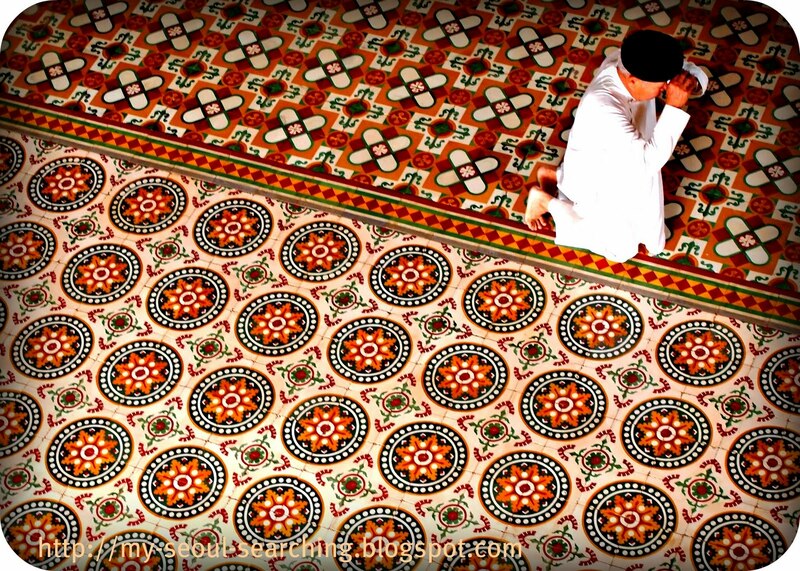 The unique belief system promotes equality and peace and seeks to create a more tolerant world. It had me flashing back to my visit to Delhi's Baha'i House of Worship, as their foundation is quite similar. So, off we headed to The Great Temple, or "The Holy See" as it's also named, 60 miles northwest of Ho Chi Minh City. 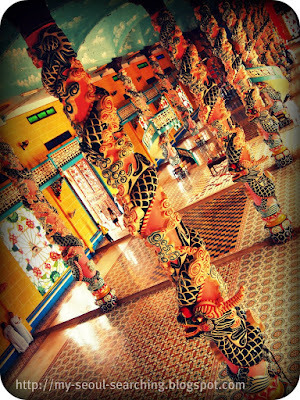 Approaching the temple, which is located on a Cao Dai compound, was much like falling through the rabbit hole. 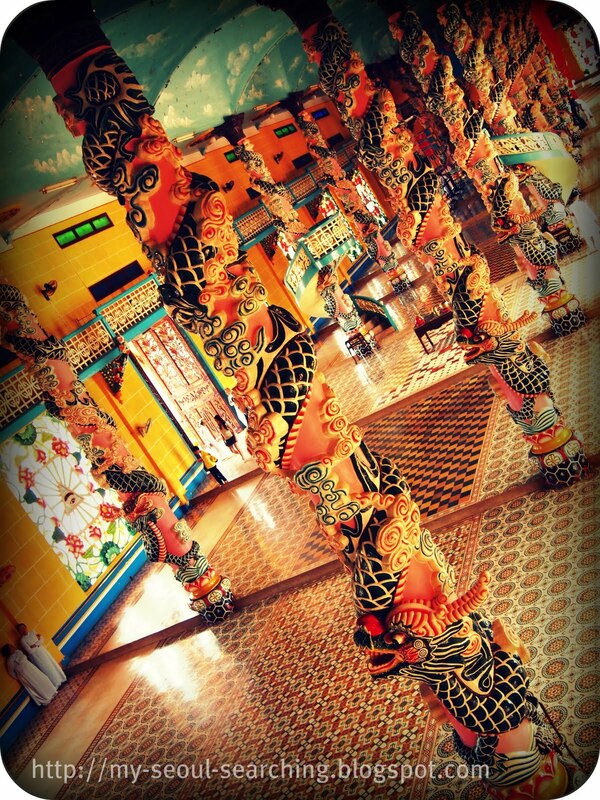 Though the temple does resemble a European cathedral in its architecture, the external embellishments are very Asian. It's a wacky yet intriguing combination. Upon entering, one feels like Alice wandering into Wonderland. The colors that illuminate the church are eye-popping and the dragons that dance up the columns of the interior are a bit frightening. I walked along the outer perimeter of the floor and couldn't help but notice a number of icons that were placed throughout the temple. The most prominent was an eye- a left eye to be exact- that was centered on the windows as well as on a giant sphere that sat in the middle of the alter alongside what must have been offerings to Cao Dai, their god. When I looked up, I saw a man's portrait painted on the ceiling. I thought it looked a heck of a lot like Benjamen Franklin. It turns out that it was. Along with Jesus, Joan of Arc, Julius Caesar, and Confucius, Ben is one of the religion's saints. The Holy See's nave is bordered by 28 intimidating, but beautiful columns. Mass is held four times a day, starting at midnight and occurring every 6 hours after that. Practitioners must attend mass daily. We were allowed to stay for the noontime service, but were instructed to watch from the second floor. As we headed upstairs, I noticed people preparing traditional Asian instruments to be used during the service. We were later told that most of their prayers are conveyed through song, which I thought was quite beautiful. Attendants began entering in a procession, wearing white garments. Women sat on the left, men on the right, and monks entered from the center. The monks stood out in their brightly colored garments. Though it was all very interesting to watch, and the locals didn't seem to have a problem with it, I felt like I was intruding on their spiritual practices. 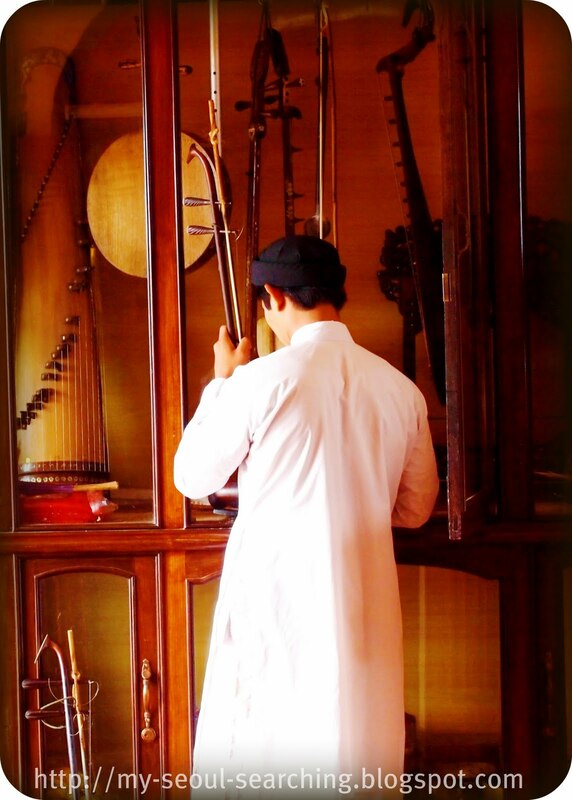 One of the problems with cultural tourism- whether one is visiting a village or watching a ceremony- is that it often resembles a human zoo: the main attraction in the center, the eager spectators on the sides, clicking away at their cameras. 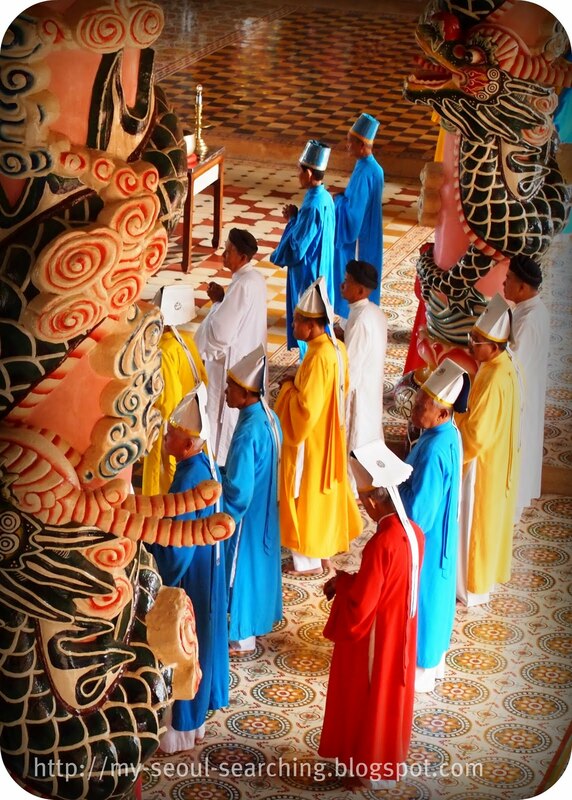 Monks and 'higher-ups' of the Cao Dai faith dress in bright colors, a contrast to the whites of the congregation. 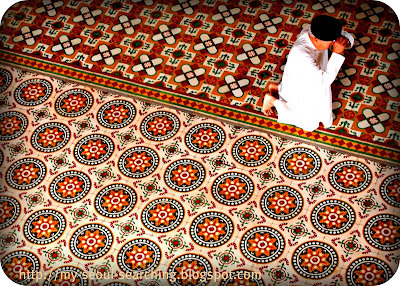 A man prays before the service begins. Still, it is always a good experience to have one's mind opened to new ideas and see how people in different places live their lives. 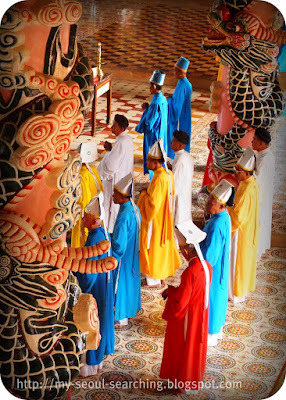 I think the right word to describe the Cao Dai religion is colorful. From the quirks of the Holy See's design to the rather offbeat rules of the religion to the followers viewing Victor Hugo as a high spiritual being, it's not your average monotone belief system. But, it's interesting. After all, who wants to live in a black-and-white world?